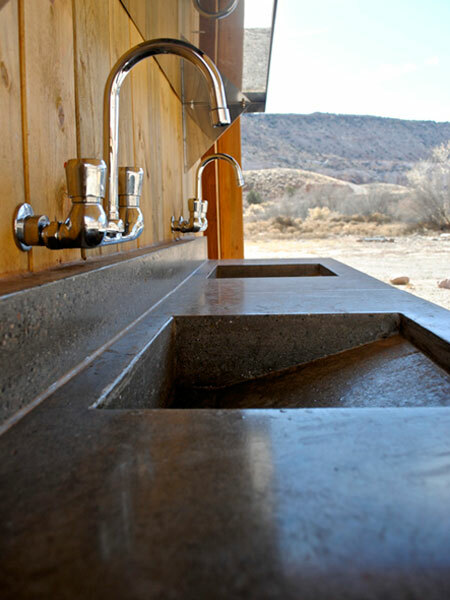 Triassic uses concrete, steel, stones and wood for kitchen upgrades like nobody else makes. 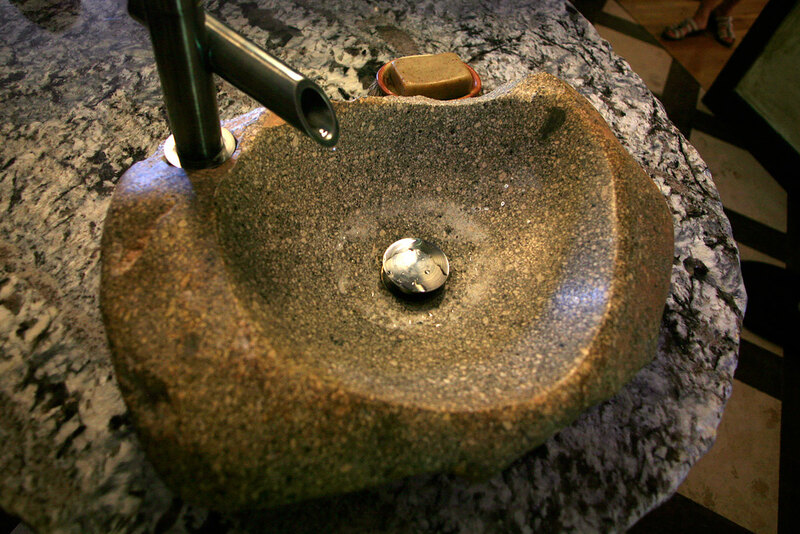 Let natural elements help form the perfect sink or countertop for your home. You can't beat mother nature when it comes to beauty. 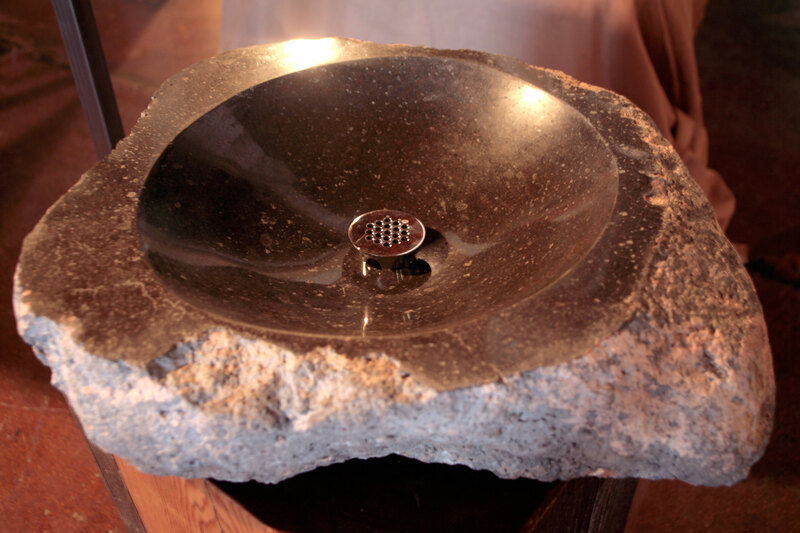 We use basalt from the Henry Mountains outside of Torrey to make these bathroom sinks. 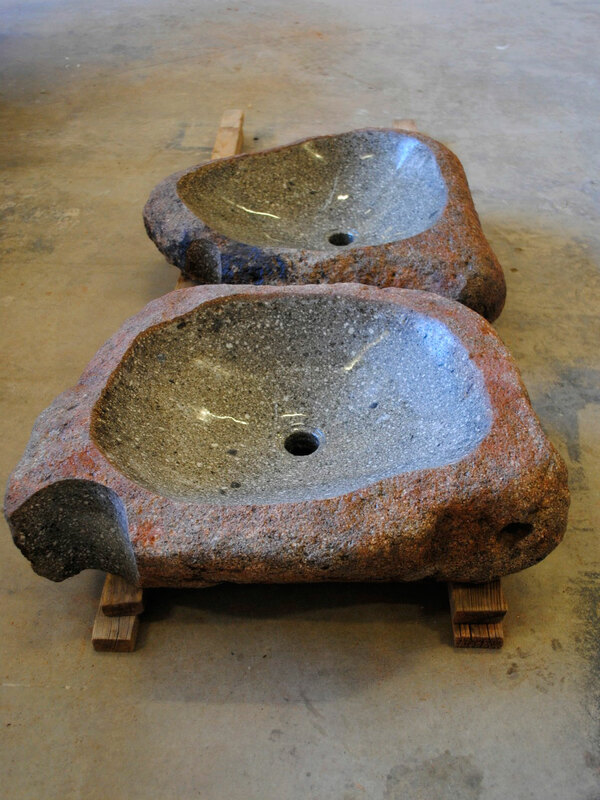 We hand pick and hand carve each sink to fit your specifications. We also use Travertine, Doirite, or Sandstone to create any naturally functional piece you require. 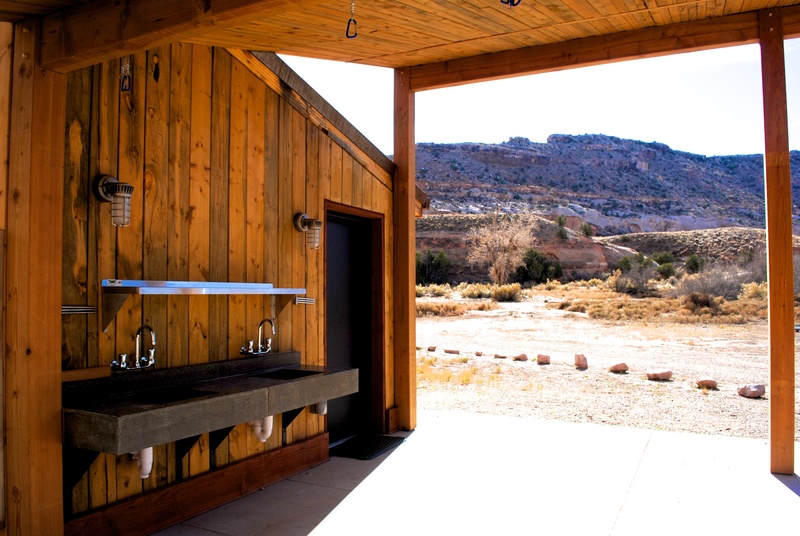 We collect travertine from local quarries near Green River Utah and Moab. 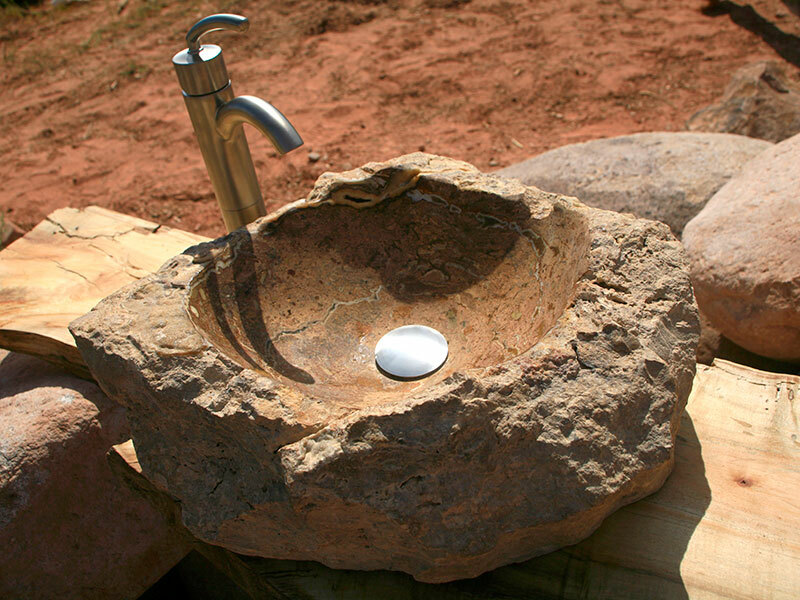 Each sink is carved by hand, sealed and sold with faucet, shipped ready for your home use. You will never find another sink like this. We make them totally unique and one of a kind. 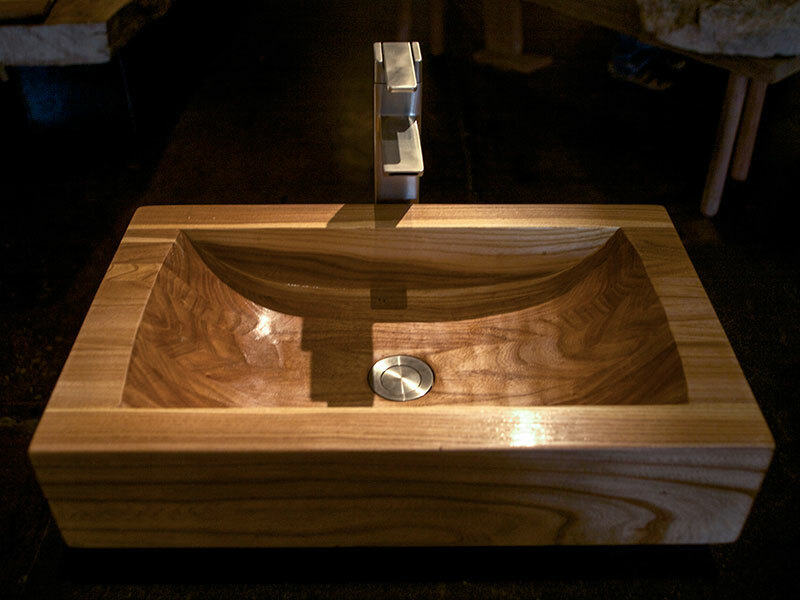 Using the wood we salvage from out tree service, we make custom wooden sinks to fit your needs. Each piece is hand made using choice wood and finished with a marine grade varnish so your sink holds up under heavy use. One of a kind, made by artisans in Moab, Utah. 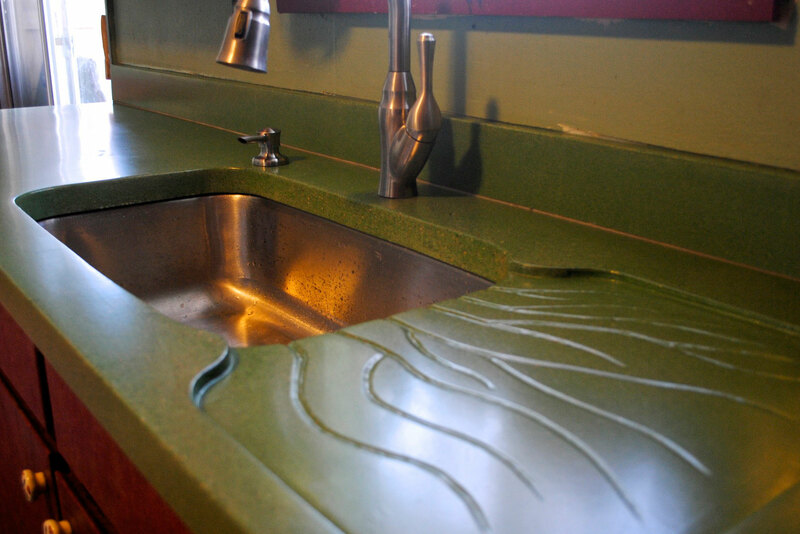 Customers can choose from a wide variety of colors, sink styles and various additions including custom drain boards. Upgrade your entire kitchen when you upgrade your kitchen countertops. 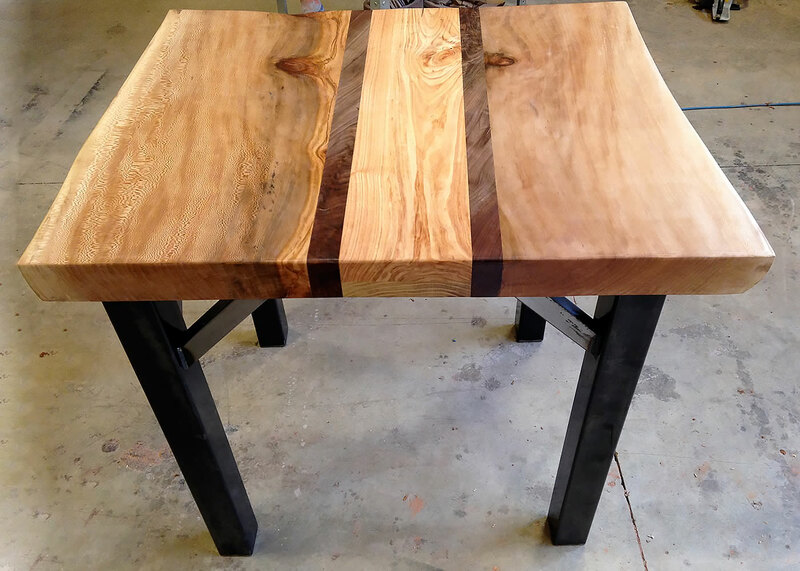 Our Butcher's Blocks are made custom from any type of hard wood we have available. You can mix and match woods or stick to a single piece. At a standard thickness of three inches and mounted on a steel frame that comes painted or factory raw and clear finished, these pieces are meant to last.